Decades ago a mysterious collective created a secret and ultimately dangerous library in Turin. This culminated in a terrifying 20 days when hundreds of people were randomly and horrifically murdered. After that, the library was supposedly destroyed--but was it? Ominous messages and suspicious activity seem to indicate that the same forces are regrouping. De Mario presciently describes a society where human connections are decreasing, where spilling personal information becomes addictive, and where "browsing the thoughts of others" brings voyeuristic pleasure as well as unknown risks. This is the dystopian foreshadowing of emotional and societal chaos when secrets become fetishes and personal interaction is discouraged. Readers will recognize the contemporary social media landscape portrayed in this cautionary, relevant novel. 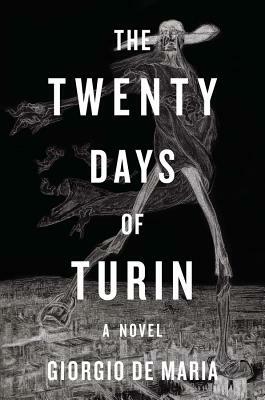 An allegory inspired by the grisly neo-fascist campaigns of its day, The Twenty Days of Turin has enjoyed a fervent cult following in Italy for forty years. Now, in a fretful new age of "lone-wolf" terrorism fueled by social media, we can find uncanny resonances in Giorgio De Maria's vision of mass fear: a mute, palpitating dread that seeps into every moment of daily existence. With its stunning anticipation of the Internet--and the apocalyptic repercussions of oversharing--this bleak, prescient story is more disturbingly pertinent than ever.